The Sun's Out -- How's a Snow Day Sound? A few hundred lucky San Diego County kids got a three-day weekend. 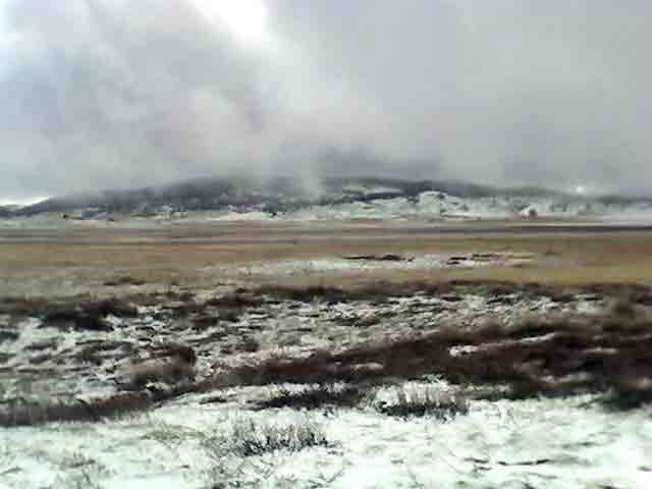 Some areas of San Diego got rain overnight, but snow fell in the mountains and valleys. In Julian, in fact, enough snow fell to prompt school officials to cancel classes. There are about 550 students in the two school districts in Julian. Not that much snow fell -- only an inch in downtown Julian -- but because of the vast size of the district, officials felt safer keeping students off the slick roadways. Farther north, a heavy dose of hail fell on eastern Los Angeles County. National Weather Service meteorologist Jamie Meier said pea-sized pellets of hail dropped on foothill communities including Altadena, Glendora and La Verne at about 1 a.m. Monday before moving east into the San Gabriel Mountains. Meier said the hailstones were small but completely covered the ground in some areas. The hail was accompanied by a great deal of cloud-to-cloud lightning, but very little of it struck the ground. The California Highway Patrol said snow fell before dawn on the the 4,000-foot-high Grapevine segment of Interstate 5 north of Los Angeles.